Your business is important to you as well as the health and wellbeing of your customers and its continued success if crucial. If at any point your restaurant becomes infested with Cockroaches it’s important to have infestation exterminated by a professional pest control specialist in a timely manner. Cockroaches are attracted to warm, moist environments. They spend the daytime hours in dark areas such as under refrigerators, stoves, and false bottoms in kitchen cabinets, the backs of cabinets and between baseboards, floors, cabinets and walls. Cockroaches leave these areas at night to look for food and water. 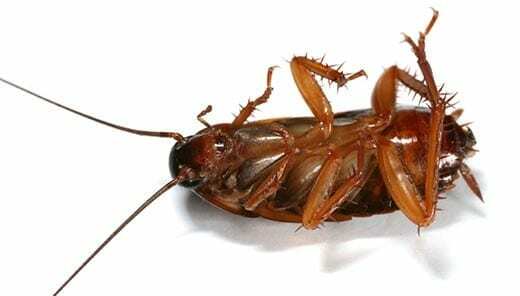 If you see cockroaches during the day this may be an indication of a larger infestation and should contact a Bug Guardian Specialist immediately. By the point of a large infestation any do-it-yourself pest control attempts will be ineffective against a large population of cockroaches. The only good cockroach is a dead one that’s why the first step to eliminating the cockroach infestation is to determine the type of cockroach present. At Bug Guardian we use our extensive knowledge of the preferences and habitats of each species to provide more accurate and effective control of the infestation. The first step to any removal method is the sanitation of the area that the roaches are attracted to. Anything that can be done to eliminate the sources of food and water from the Cockroaches home will help to control the infestation. Once sanitation is complete the next step is extermination of the cockroaches. This is done through the use of trapping, baits, insecticides, and dusts. A pest control technician will suggest which method is best for removal and go over your options. After removal is complete we always suggest having a routine pest control maintenance plan to reduce the risk of infestation from cockroaches or any other pests. At Bug Guardian Pest Control, our goal is to help you in the shortest time possible, while resolving your cockroach problems in the most cost effective manner. All of our technicians are professionally trained and our service is a 100% satisfaction guarantee. Call Bug Guardian today at (480) 345-2847.